Founded in 1842, Hollins University is a distinguished private liberal arts university for women with approximately 640 undergraduate women and 165 coed graduate students from 40 states and 20 countries. There are 38 available majors, and coed graduate programs are offered in English and creative writing, liberal studies, children's literature, teaching, screenwriting and film studies. In 2015, 143 Baccalaureate Degrees and 76 Masters Degrees were awarded. Kiplinger’s Personal Finance - 2016, named Hollins a “Best College Value.” Hollins earned the #96 spot on the magazine’s list of 100 best values in private liberal arts colleges. U.S. News & World Report - 2016, ranked Hollins number 108 in the “Best National Liberal Arts Colleges” category. 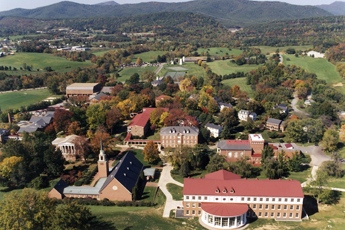 It is tied with Hampden-Sydney College as the fourth highest-ranked liberal arts college in Virginia, behind Washington and Lee University, the University of Richmond, and Virginia Military Institute.